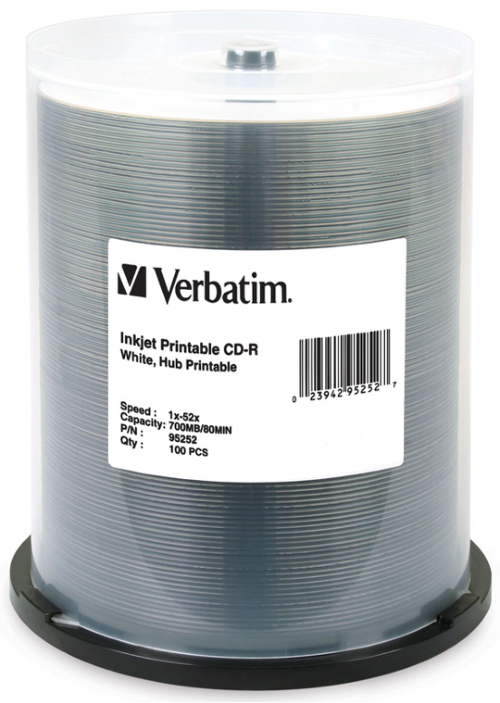 Verbatim 80-Min 52X White Inkjet Hub Printable CD-R’s As low as 22¢ each! 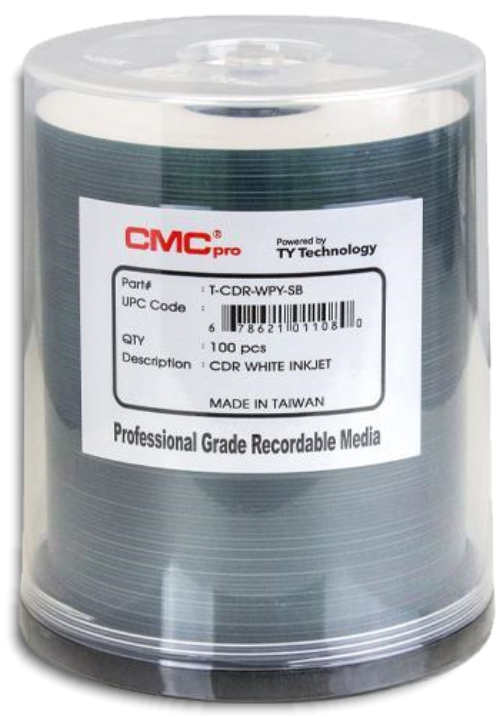 Verbatim 80-Min 52X White Inkjet Hub Printable Digital Vinyl CD-R’s™ As low as 47¢ each! 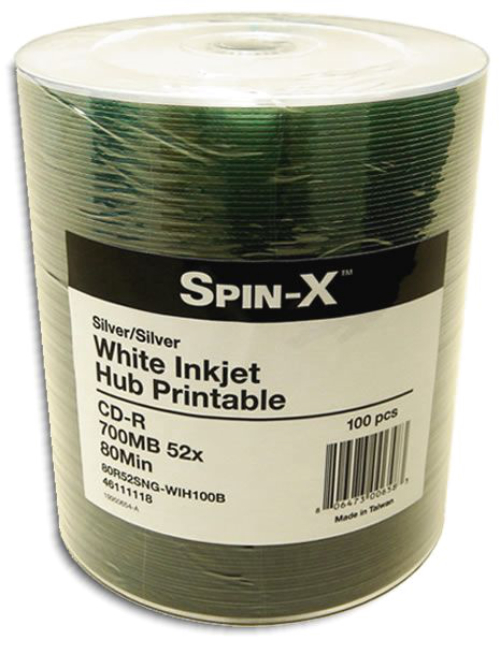 Spin-X 80-Min 52X Inkjet Hub Printable CD-R’s Available in White Inkjet Hub or Silver Inkjet Hub As low as 19¢ each! 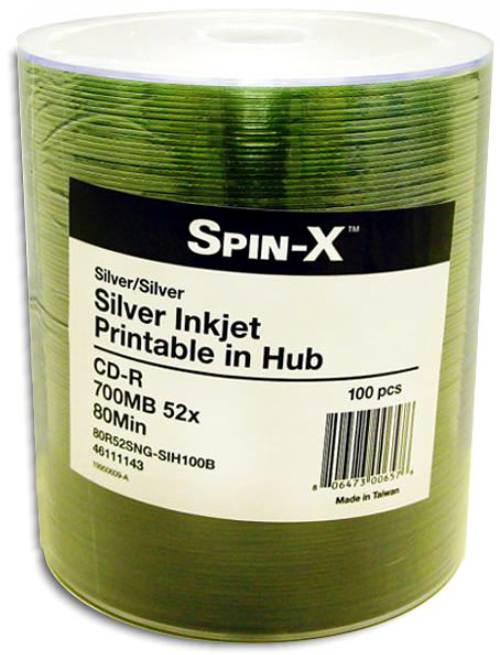 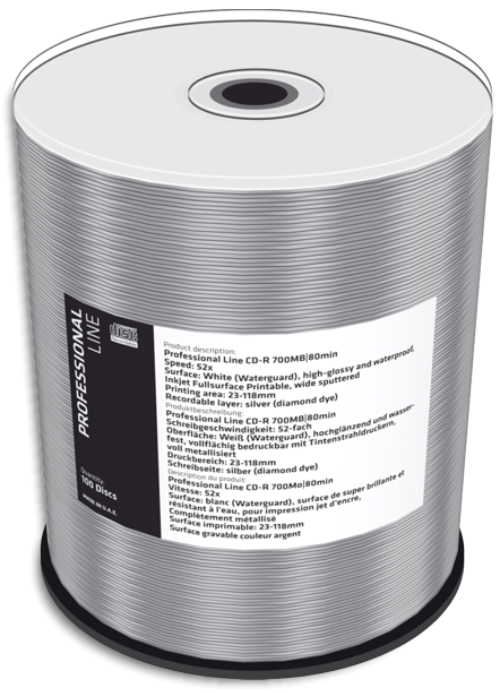 Ridata 80-Min 52X Inkjet Hub Printable CD-R’s Available in White Inkjet Hub or Silver Inkjet Hub As low as 19¢ each! 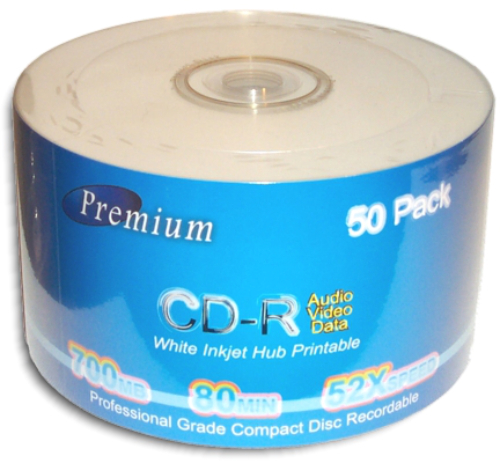 Premium 80-Min 52X White Inkjet Hub Printable CD-R’s As low as 15¢ each! 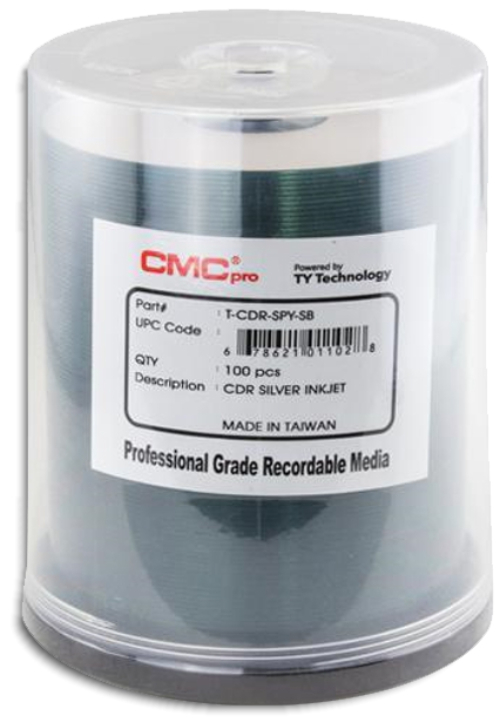 CMC Pro (TY Technology) 80-Min 52X Inkjet Printable CD-R’s Available in White Inkjet (clear hub) or Silver Inkjet (clear hub) As low as 28¢ each! 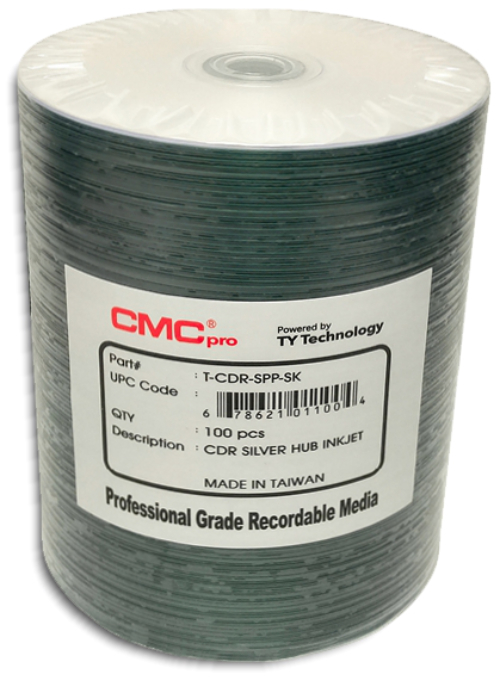 CMC Pro (TY Technology) 80-Min 52X Inkjet Hub Printable CD-R’s Available in White Inkjet Hub or Silver Inkjet Hub As low as 27¢ each! 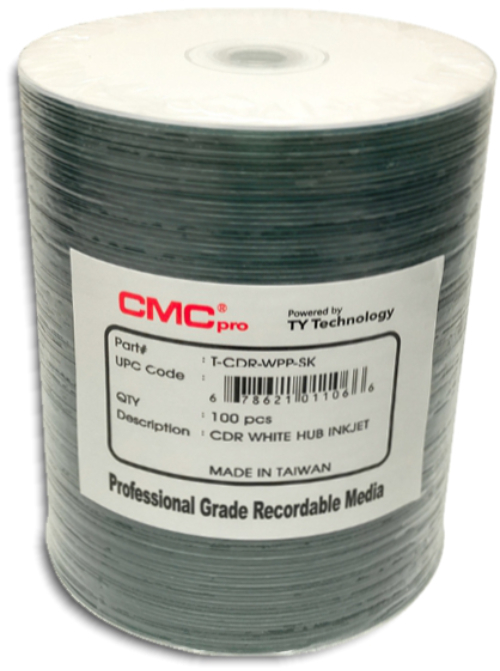 MediaRange 90-Min 48X White Inkjet Hub Printable CD-R's As low as 54¢ each!